Tactical First Responder - S.E.I. 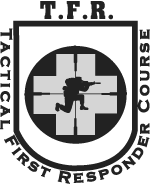 TFR teaches non-medically-trained operators how to think–not just what to think–for the medical aftermath of a gunfight. It teaches one to become the eyes and ears–the hands–of team PJs/corpsmen/medics. It is the way for tactical personnel to be trained for the imposition of casualties on hostile missions. It is self-care medicine at the individual operator’s level. TFR is mission survival–team survival–when the PJs/corpsmen/medics get slammed and cannot provide the care that is needed. TFR’s life-saving medical skills span the spectrum of mission requirement. Finally, TFR is a tested and proven medical concept on the GWOT battlefield.